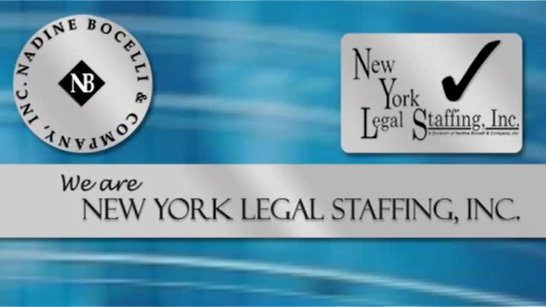 Personal Injury Paralegal – Immediate Hire – Nadine Bocelli & Company, Inc. – New York Legal Staffing, Inc. Established east side law firm is looking to hire a personal injury paralegal with a minimum of four (4) years of experience on the plaintiff side. Trial prep experience a plus. Must be comfortable speaking with clients, presents well, pays attention to detail and have great communication skills. Bilingual English/Spanish helpful. Work Schedule: Monday - Friday, 9:00 am - 5:00 pm. Salary to 60K (commensurate with experience). Competitive benefits.